2011 has been a banner year for experimental hip-hop. OFWGKTA, Das Racist and Big K.R.I.T. brought mixtape hip-hop to the mainstream, The Roots made a concept album based around a Sufjan Stevens song, The Weeknd and Frank Ocean played with the boundaries of what could be done in rap production, and Jay-Z and Kanye West decided to sample Blades of Glory and rap about fish fillets. 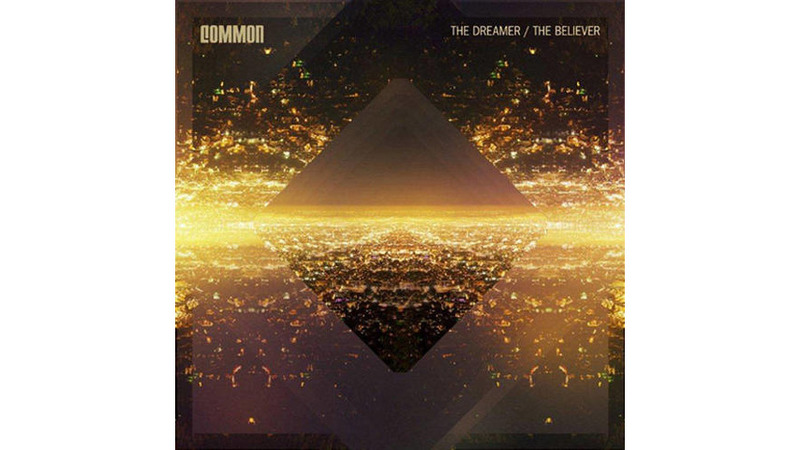 But at the end of the year, we get the last important hip-hop release of 2011, Common’s The Dreamer/The Believer, which sounds like Common has decided to ignore the trends of the past few years and remain decidedly grounded in ‘90s hip hop, a sound that works best for him. The Dreamer/The Believer shows Common as one of the greatest rappers out of Chicago, both influencing and being influenced by the likes of Kanye West and Rhymefest. This doesn’t surprise since Common once again works with producer No I.D., whom he has worked with since he was known as Common Sense in the early ‘90s. No I.D.’s production has always focused more on the past than the future, which has showed on such albums as Ghostface’s The Pretty Toney Album, Rhymefest’s Blue Collar and Jay-Z’s American Gangster. Yet what makes No I.D. so great is that he makes the past sound like the future, as he has been able to do on several West productions off 808s and Heartbreaks, My Beautiful Dark Twisted Fantasy and Watch the Throne. The production skills of No I.D. are epitomized on “Blue Sky”, where the Electric Light Orchestra classic “Mr. Blue Sky” sounds refreshingly new as Common flows over it. The Dreamer/The Believer’s best track, besides “Blue Sky”, is “Ghetto Dreams” which works extremely well with a verse by Nas. Even though the beat is a bit harder than you may expect from Common, Nas helps it make sense for the track. Common has always worked at his best when his raps are lighter, working with the style of an R&B singer while rapping over great beats. Tracks like “Lovin I Lost” and “Raw (How You Like It) remind us of past Common greats like “I Used to Love H.E.R.”, and work better with Common’s current public image. It’s hard to take threats of how much of a badass you are when you are starring in movies with Steve Carell. The album features two great bookends, starting with “The Dreamer,” a smooth, simple rhythm that ends with a beautiful poem by Maya Angelou that could be talking about his fellow Chicago rappers as she states “to build a brighter tomorrow, you must build a brighter team.” The album ends like many of Common’s albums, with words of wisdom from his father, a nice touch for a rapper who has been a role model for many a young MC. Common stands out from the best hip-hop albums of 2011 by doing what he has always done best since the ‘90s and standing firm in his style. There’s something nice to be said about someone who is content to not always be groundbreaking or try something new, but rather tweak little things to make the best out of what his style is. Common’s greatness is in the fact that his raps can sound like some of the best hip hop from the past 20 years, but in a modern way that somehow seems old and new at the same time.